When you’re exploring software products —specially cloud-based apps— you expect a free tier or trial. After all, a primary value proposition of SaaS vendors is self-service; you want to be able to explore the product yourself and see if it matches your needs. Not quite with Microsoft Sharepoint. Besides the fact you must add your credit card number to access a free trial, it gives you access to the whole Microsoft Office 365 suite — but you will struggle to find the module you care about: Sharepoint. Of course, you could also download the on-premise version on your PC. In other words, you’re occupying your computer resources just to give Sharepoint a spin. This was my experience when I was trying to sign up for Sharepoint to get a sense of its feature set. Just to save others who are going down the same route some trouble I decided to create a checklist and description of Sharepoint features, so that you can quickly decide if it’s the collaboration tool your company should go with. At the highest level Sharepoint allows you to create multiple intranet sites, hub sites, websites etc. Sites allow you to create customized views to manage and distribute your content. Sharepoint Homepage is the central hub of Sharepoint from where you can aggregate information from across Sites. You can visualize news, updates, and notifications from each Site, besides creating new Sites in the same view. P.S. 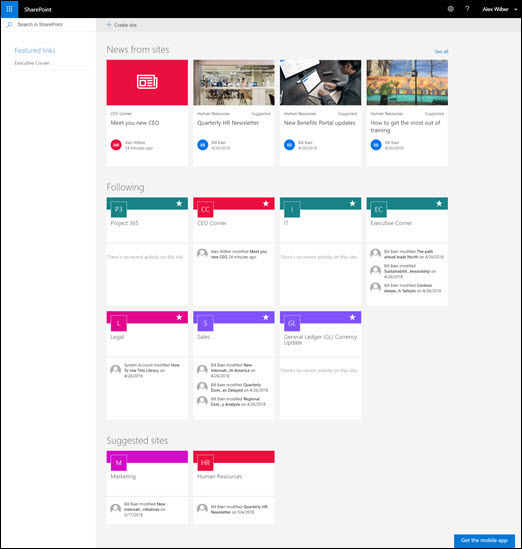 If you want to have a simpler experience building your intranet sites and workspaces, you may try a Sharepoint alternative like HyperOffice. Lists are the essential structure of Sharepoint. It can be thought of a database with rows and columns. Everything in Sharepoint – documents, tasks, events etc, can be organized in Sharepoint Lists. Most commonly, companies use Lists to manage their document libraries. 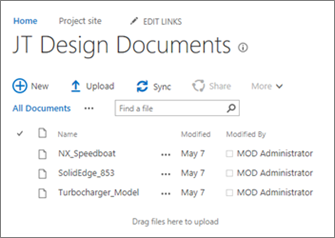 You’re allowed to embed your Excel documents on Sharepoint Site pages, down to specific rows and columns. 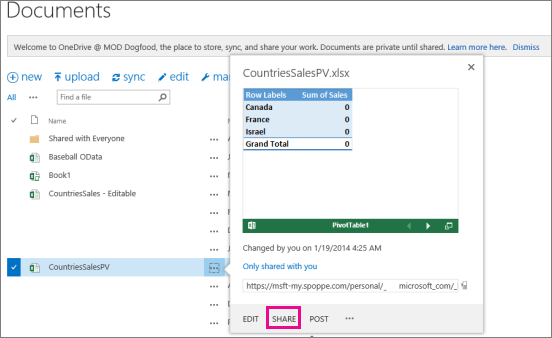 You can also set permissions for people accessing a page or blog post to edit embedded Excel fields. InfoPath is the tool that lets you embed web forms in your websites to power your database applications. Sharepoint includes Power BI, a Business Intelligence tool for creating reports and dashboards to have a quick view of KPIs. 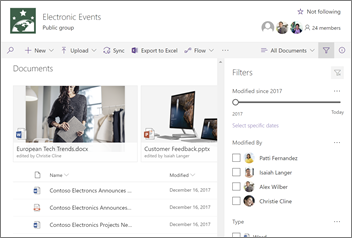 Recently, Microsoft announced they would be retiring Microsoft Access online from Sharepoint Online, replacing it with Power Apps. Power Apps is an online database application that lets you gather data and create automations. If you’re a Microsoft user and think that Power Apps don’t fulfill your expectations you might want to try HyperBase. Teams is Microsoft’s latest launch, a team chat and conferencing solution. Microsoft announced they would introduce Teams inside Sharepoint and offer an integrated experience. This is Microsoft’s response to the massive success of Slack, the poster boy of team communication. This list is not necessarily exhaustive, but highlights the important features of Sharepoint. If you feel it meets your needs, go for it. However, if you think it is clunky and complex, you may want to look at Sharepoint alternatives.